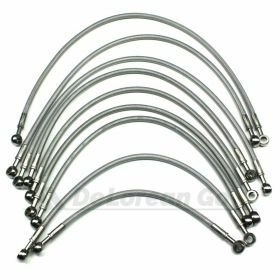 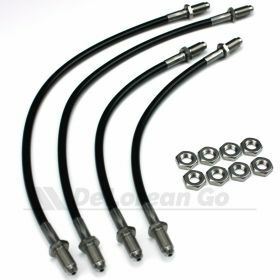 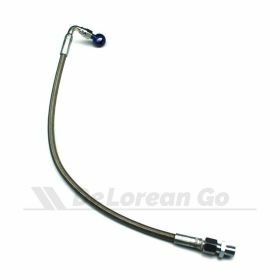 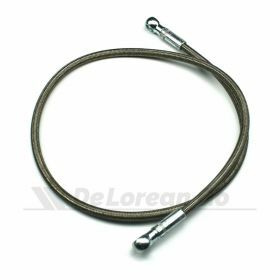 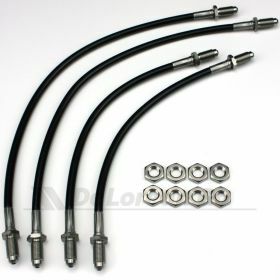 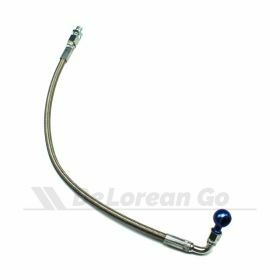 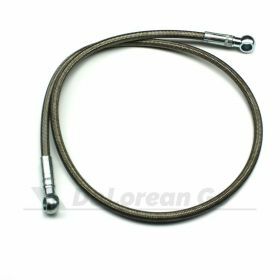 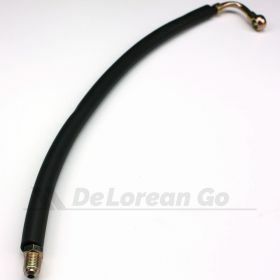 A complete set of 9 engine bay fuel hoses in black coated braided stainless steel - DeLorean Europe version, made in China. 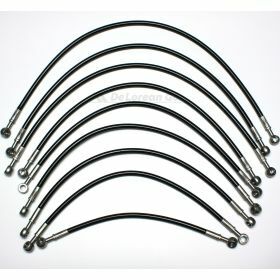 We also stock our own high quality British made version. 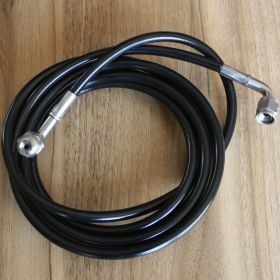 BLACK coated, 9 lines in total. 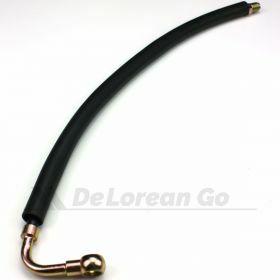 This is the DeLorean Europe version, made in China. 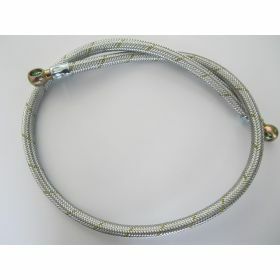 We also stock our own high quality British made version. 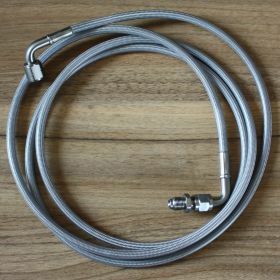 All lines are available individually. 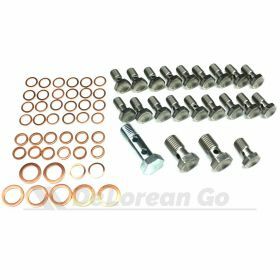 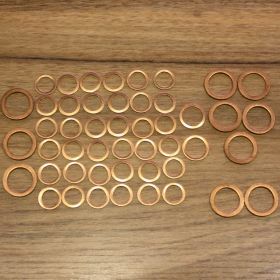 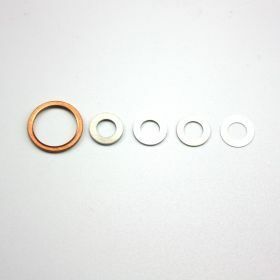 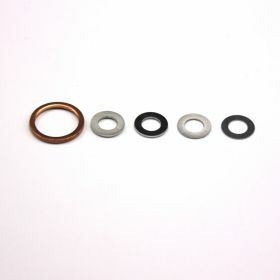 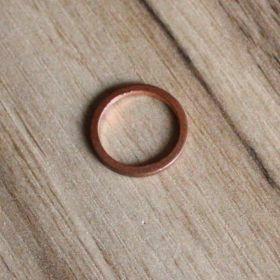 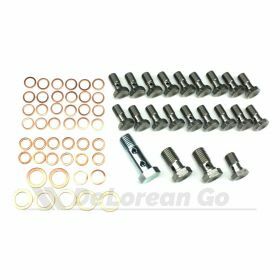 You will also need to order copper washers - see the kit - or the complete stainless steel banjo bolt kit with copper washers.